We’ve really been enjoying our reading time! I thought I would share some of the books that we’ve been reading or are planning to read soon. 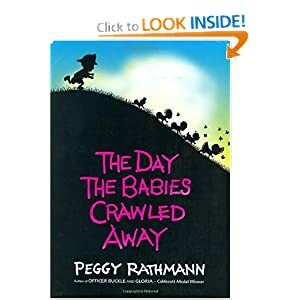 The Day the Babies Crawled Away– Peggy Rathmann. This is an adorable book. The text is written in poem format and the illustrations are so cute. A story about some families who go on a picnic. The babies crawl away and the “big boy” follows along and keeps them safe and brings them back after their adventures. Nathan loves this one too! The Boxcar Children Series- Gertrude Chandler Warner- We’re starting with book 1. There are lots of books in this series. They are small paperbacks of about 180 pages each. 4 children on adventures together. 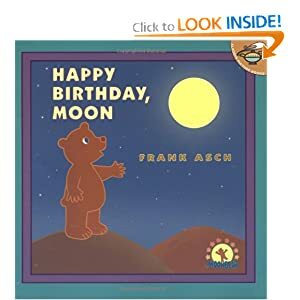 Happy Birthday, Moon– Frank Asch. Asch also authored Moongame which I’ve seen everywhere! Little House in the Big Woods– Laura Ingalls Wilder. We made it through the entire book in short order. Ethan was interested and kept asking for me to read another chapter. We’ve also been reading nursery rhymes and poetry. My brother and I grew up reading a lot. We didn’t have a TV in our house for most of our growing up years and I’m sure that had a lot to do with it. I have lots of good memories attached to my books. It’s fun to enjoy books with Ethan and Audrey. Isaac has started getting in on the action too. Lately he’s been carrying one of the board books around when I’m reading! It’s a little hard for him to turn the pages by himself though. 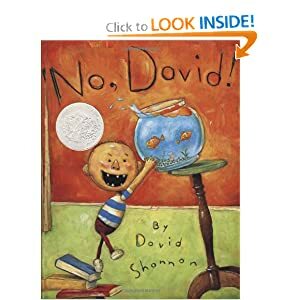 If anyone is looking for some ideas of fabulous books for younger children we have also loved the No David! book and other David books by David Shannon. Great illustrations. Not many words, but it’s fun because the children quickly memorize each page and “read” it for you. 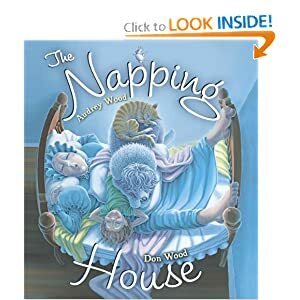 Another favorite is The Napping House by Audrey Wood. Last, but not least. 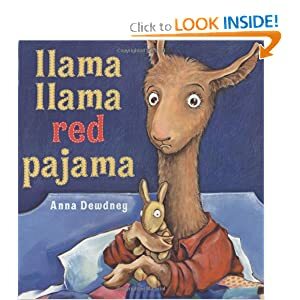 The Llama, Llama.. books by Anna Dewdney. If you don’t have a library card, you should get one just to check out these books. We really like them. I keep thinking of more and more books, but I need to finish this post and go to bed. Drop me a comment and tell me what you’re reading to your kids or what your favorite book was as a child. 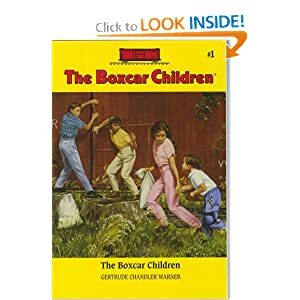 I love the Boxcar Children books! They inspired in me a sense of adventure. Ethan seems to really like them! We just finished the first one tonight.